The Supreme Court’s Middle Income Group Scheme is aimed at providing legal services to the middle and relatively lower income groups. The scheme is meant to provide services in the Supreme Court, to litigants whose gross income does not exceed ₹60,000 per month or ₹7.5 lakh per annum. 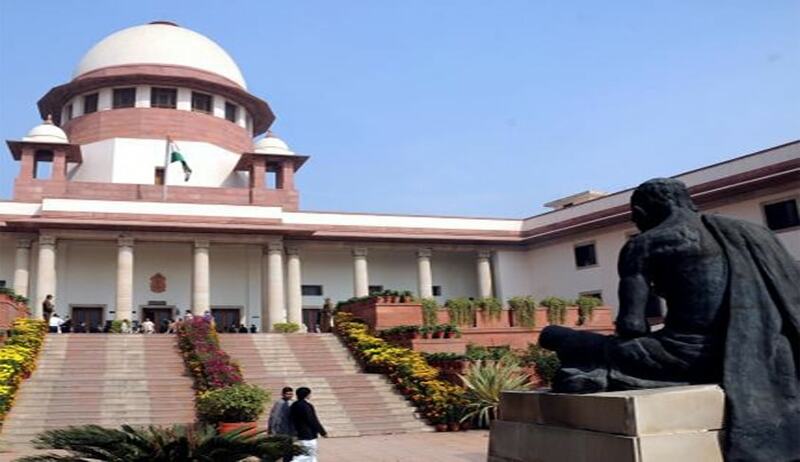 The management of the Society has been entrusted to the members of the governing body, which includes the Chief Justice of India as patron-in-chief, the Attorney General as ex-officio Vice-President, the Solicitor General as Honorary Secretary and other Senior Advocates as its members. “A sum of ₹500 shall be payable to the Supreme Court Middle Income Group (MIG) Legal Aid Society as service charges. The applicant shall have to deposit the fee indicated by the secretary, which will be in accordance with the schedule attached to the scheme. It is the secretary who will register the case under the MIG Legal Aid Scheme and forward the papers to the Advocate-On Record, Arguing Counsel or Senior Counsel on the panel for opinion,” a statement by the Law Ministry had said. While the scheme permits the applicants to provide their preference of Advocates, the final right to assign rests with the Society. In case the Advocate takes the view that the case is not fit for an appeal to the Supreme Court, the entire amount — after deducting the minimum service charges of ₹750 — will be refunded to the applicant through cheque. Further, after allotment of the case to an Advocate, the Society would not monitor the assignment and final disposal of the matter, and will only intercede upon the receipt of a complaint. In case the Advocate is found to be negligent in his conduct, the entire responsibility for such conduct would fall upon such Advocate vis-à-vis the client, and the advocate’s name will be struck off from the panel. It also provides for the formation of a Contingent Fund, for meeting the miscellaneous expenditure in connection with the case by collecting a deposit of ₹750 from the applicant at the stage of admission, in addition to the charges required to be deposited with the Society, out of the contingent fund. For appearing on behalf of the Petitioner, the honorarium for drafting and filing an SLP or a Writ Petition, including list of dates and miscellaneous application, is a consolidated amount of Rs. 10,000. The honorarium for drafting and filing transfer petition including list of dates and miscellaneous applications, and also for drafting rejoinder affidavit and / or at contesting matter, is a consolidated amount of Rs. 10,000. For appearing on behalf of the Respondent, the honorarium for drafting counter affidavit/ statement of objection and all other necessary applications is a consolidated amount of Rs. 9,000. Further, the honorarium for hearing of the matter at final disposal stage inclusive of adjournment, if any, and / or at appeal stage, is Rs. 3,000 per day, up to a maximum of Rs. 9,000. The honorarium for SLP /Writ Petition / Transfer Petition/Counter affidavit/Rejoinder Affidavit/Statement of objection by Senior Advocates is a consolidated amount of Rs. 20,000. The honorarium for appearance by Senior Advocates at admission stage or after notice is Rs. 5,000 per appearance, up to a maximum of Rs. 10,000, and at the final disposal/ appeal stage is Rs. 7000 per appearance up to a maximum of Rs.14, 000.